Do you think that this game needs an introduction? No and this is the most popular game on Android as well as on iPhone’s platform. If you have not downloaded it yet, you are missing a huge fun. This game is addictive and worth downloading. Barcode scanner can be used as a price comparison. If you are there in a shop and you want to know the price of any product that does not have a price tag on it, simply take your Android Phone out, start the app and point the camera on the barcode and your phone will tell you the price of that product. Make in-app calls at cheap rates with the help of this app. If other user is also a Skyper, you can make a call for free. It’s recommended that you have a Wi-Fi when you are going to call someone. With Browsing by type and genre, you can use this internet radio app for free. You will have access to over 40, 000 channels and you can choose the one you want by searching it. This includes banner ads and it’s free. This is better than the official Twitter app as you can have more features here. You can log in with multi accounts and you will also get your Facebook and Google Buzz feeds. All twitter features are really easy to use. Install this app and check it out for yourself. This is a really good way to give your picture a more filtered look. Yes, you can easily edit your photos using Adobe Photoshop Express. You can change the photo to sepia or black and white, you can add soft focus and you can edit it in many ways. And once you are done, you can upload them to your favorite social networking websites. No doubt, Kindle is one of the best eReader for your smartphone. But it looks like it has some competition here. It can run almost every format and it has its own book store from where you can get as many books as you want. Install it and let’s know what a real difference have you felt. Try this browser. It’s fast and it supports Flash 10.1 On Android 2.2 and higher. It’s really easy to browse using this app. It offers gestures that will let you go at the top of the page instantly. 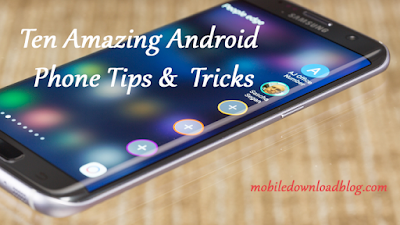 If you love browsing from your phone, this is a must-have app for you. Amazon Mp3 is the best way to buy music for your Android Smartphone. Yes, just turn one the app and buy the music you want. It’s more like the iTunes music store but you can get the music more easily than iTunes Music store. The simple and the best way to manage your files are through this app. You should have to manage your files from time to time. You can zip up the files and you can send by compressing them. Astro File Manager is a must-have app for your phone. It will help you to see what’s the top download app or game. You will also get to know about the app that is mostly uninstalled. You will also be able to see which one is at the top among your friends. So, it will not be a problem to search millions of app to install the one that suits you. Yes, we do love Dropbox but when it comes to the storage space, you get 5GB on Box.net as compared to 2GB on Dropbox. So, it’s very good for those who don’t want to pay to get some storage. You probably have heard about it. If not, this is one of the best cloud storage apps for your phone. Get free space and if you want more, just pay a bit. Plenty of different apps sync with Dropbox to automatically save things. Whether you want to type a note or you want to make an audio note, you can use Evernote. It’s known as the King of Mobile note taking. Attach files and manage your notes as easily as possible. This app needs no introduction. Use your favorite social networking website in an easy way. Zuckerberg and his team are trying to speed up this Android version. This app is available for Android and you can enjoy the Earth’s beauty by just zooming in and out. This app will keep you busy for hours and you will probably like watching the view of the Earth right from your phone. Google Translate is much more helpful when it’s in your phone than it was in your pc. When you are out of your country, it will be more useful. You can use the voice input, too. A really nice app and it’s worth downloading. In some smartphones, there is a vague symbol that indicates how much battery is left. But if you want to know the correct percentage, you should try this app. This app will give you the remaining battery in percentage. When you are talking about unlimited data, it is not always unlimited and this app is here to help you in such kind of a situation. This watchdog will keep an eye on data you have used. So, it will be easy for you to know when you have to stop using it excessively. You can easily watch it by pulling down the notification bar. 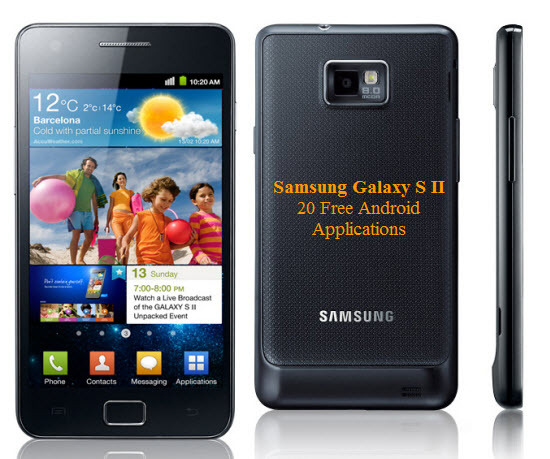 What apps do you use on your Samsung Galaxy S II, Share the apps you use via comments section.